On a beautiful Saturday morning in July, I sat by my father on the Mumbles Train, barely able to contain my excitement as we rolled and swayed our way to Swansea. He was keeping his side of a bargain, struck three years ago when I was a nine year old pupil in Mr. Raymond Bradshaw’s class, Oystermouth Council School. Shown above Oystermouth Primary School today with the castle in the background. Earlier in the week, pince-nezed Headmaster, Arthur Ivor Davies had sailed into the top classroom, standard seven, clutching a sheaf of papers. Looking over the top of his glasses, he gave a nod and a smile as he approached the resigned and amicable, form teacher, Mr Gibbs. An ice cold clamp, encircled my heart. I had failed this exam the previous year and this was my last chance to move on to a higher education. Failure meant staying in standard seven, vegetating for another two years, until fourteen and then leaving to find a job somewhere in Mumbles. Not easy in those difficult times. “The following pupils have been successful: George Stell,….Pamela Summers..... Richard Davies…Mary Copp ……..Bernhard Hullin,…. Betty Rosser…Leighton Warmington Jones….Eileen Allen……and then, unbelievably… Grafton Maggs! I caught my breath. Ossie Sanguin sitting behind me, sportingly patted me on the back. Seven boys had made it and six girls, too. With those parting words, this thoughtful and kind man revealed his awareness of the unfair system that prevailed at that time and the plight in which most of his pupils invariably found themselves every year. Selfishly, however, my head was buzzing with the joy of my own success and I had little thought for those of my friends who had been less fortunate. It was not until reaching maturity, many years later, that I appreciated the gross unfairness of it all. That year, seven boys went on to higher education. The remaining thirty to forty did not. All by virtue of success or failure in one three hour examination. Clutching a flimsy piece of paper, I was allowed to go home, bearing the good tidings. There was one duty, however, that had to be performed before leaving and along with a number of the other successful pupils, I called in to standard six, Evan Davies’ class. It was the dedication and superb teaching of this man that had given me the knowledge necessary to break into the grammar school tier. He went beyond the academic and taught me a way of life which became a permanent legacy and an inspiration. The very least that I could do was to see this good man and stammer out my thanks. There was the expected hysterical reaction of my mother, who embraced me in a gorilla-like hug, cracking several ribs and dislocating three thoracic vertebrae, all the time weeping like a victorious Miss World. My father was phoned and, thank goodness, was controlled, proffering a manly, “Well done, son!” before breaking down, sobbing. In 1934, whilst idling away my time in Mr. Bradshaw’s class, my parents had tried valiantly to stimulate within me, some sort of mental activity, and as a last resort had tried bribes. I was promised a wonderful gift if I passed “the Scholarship”. We haggled. 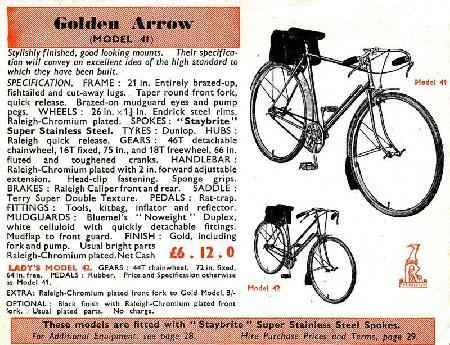 I wanted a Raleigh “Golden Arrow” bike from Dan Morgan’s, they didn’t. So! It was compromise time, a wristwatch now if I passed and later that bike- provided, I got a Double First at Brasenose, Oxford, followed by a PhD and a visiting professorship at Yale. At the time, I did not quite understand the full significance of this verbal contract and, although agreeing, I was suspicious. I realised, years later that I had been conned which just shows that there are times when you can’t even trust your old man. Anyway, here I was on the train, off to get that promised watch. 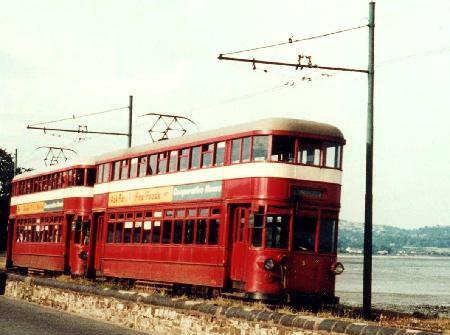 We alighted at the Rutland Street Terminus and walked up to the town centre. To my surprise, instead of going up to the High Street to Crouch’s or Samuel’s or Evans’s, we turned in to the Swansea Market. 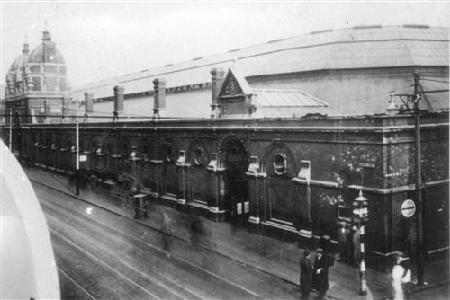 Here is a view of the Market from Oxford Street. This building opened in 1897 and was destroyed by bombing in February 1941. Gonzalez Fitzroy Pugh, Esquire, International Horologist. Watches repaired.24 hour service except when it takes longer. Not on Saturdays when the Swans are playing at home. Between these two objects was a melange of all that is associated with timekeeping. Silver pocket watches of all sizes lie between wristwatches, partly hidden by leather straps and chains. To one side, alarm clocks rubbed shoulders with wooden cased mantel shelf clocks. A Mickey Mouse faced nursery clock lie besides an off balance wall pendulum clock which looked in dire need of a duster and oxygen. The whole ensemble rested benignly under its undisturbed fine layer of Market, moon-like dust. There was no sign of the time lord, Gonzalez Fitzroy Pugh, Esquire. There was movement from behind the stall and a head appeared topped by a brown crumpled trilby with staining all round the hat band. Beneath this hat was a face which seemed to reflect all the tragedies and disasters ever inflicted upon mankind. The sagging eyelids, the blood shot eyes were set in a pallid, road-mapped, unshaven face bedecked with a large brown tinted moustache drooping over a mercifully concealed mouth. I had the impression that, as a child, he had never been an “Ovaltiney”. The rest of him emerged. It is best to dismiss his clothes by just saying that they were not new and had not come from Sydney Heath’s. He wore a black suit with a brown waistcoat and grey trousers, all of which were delightfully toned in by cigarette ash. As he lurched around the stall, he wiped his mouth on the back of his hand, releasing a stifled belch which wafted across a miasma of Worthington’s best draught. He turned back and showed me half a dozen more. No good. Then suddenly, I saw a black dialled watch, partly concealed by the mouldering pie on the encrusted plate. I pointed it out and he leaned over to move the plate, flicking away an annoyed bluebottle. Half hesitantly, he emptied the pie into a waste bin at the side and handed me the watch. I thought it was perfect! “There we are, my lovely boys. Knew I had one. Gonzalez Fitzroy Pugh never fails. Three and six please. No cheques, only cash. Metal strap, ninepence extra! He wound up the watch. Checked the time against the massive market clock. Handed it over and I placed it on my wrist. There were not enough holes to fit it tightly and it hung like a halter on a pony’s neck. It didn’t matter. I had my wristwatch! Walking back to the Mumbles Train, I stopped to check the tick and tried to look through a partially clenched hand at the face to see if the figures glowed. All the way home, I made a great show of my new acquisition, but, sadly, nobody asked me the time. However, I discovered that it took sixteen minutes and forty five seconds for the train to travel from Rutland Street to Oystermouth Station. Unfortunately, my joy was short lived. For some reason or another, the numbers and hands on the dial did not glow in the cinema that evening and at supper later, when brother Colin asked me the time, I was surprised to see that the watch had stopped. I shook it. It started up. Later I put it on my bedside table and with the light out, I was relieved to see that the figures glowed. That was one problem resolved. In the morning, it was still going and I carefully wound it up, put it on and washed myself carefully around it. By lunchtime, it had stopped three times. Back to Gonzalez Fitzroy Pugh, who changed it reluctantly and with much muttering. Sadly, that was not the end of it, the replacement watch also malfunctioned and my father and I had to return again. This time Gonzalez Fitzroy Pugh was not so amenable. Reluctantly, we accepted and left. The pocket watch, too, proved to be unreliable and, so, I gave up on watches. The years rolled by. 1939 saw the outbreak of World War 2. 1941 saw my Dynevor career, by courtesy of the Luftwaffe bombing, come to a sudden and traumatic end. 1943 I became a soldier and, a year or so later, was issued by the Battalion Quartermaster, with a G1098 wristwatch. These were special, superbly made watches, only issued, then, to officers in the Special Forces. For the three years that I wore it, it never stopped or varied a minute in accuracy, in spite of brutal treatment in mud and water. Home on leave in 1945, I bumped into an old friend in Swansea. He insisted that we had a drink and steered me into that most salubrious of drinking establishments, “The Garibaldi”. The public bar had its usual collection of midday motley topers. 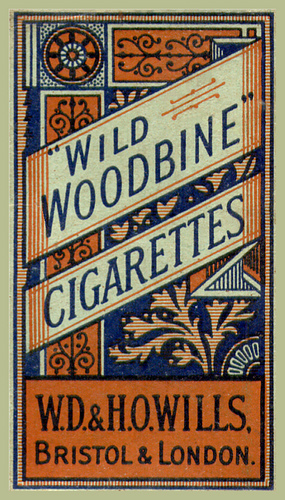 We groped through the thick haze of Woodbine smoke to a sticky seat, in a dismal corner. Looking up, I noticed a familiar figure seated on a stool at the end of the bar. Gazing into the fly-spotted, discoloured mirror behind the fixtures, was Gonzalez Fitzroy Pugh, aged, but barely changed since the days of my first wristwatch experience! He still wore the sweat stained trilby and the black suit with the brown waistcoat and the grey trousers. His concession to the war was the collarless khaki shirt that he now wore with a brass stud. Its colour blended well with his unshaven face. I approached him. I was surprised to see that I now towered over him. He was not a big man. “Alas, no! Following the destruction of my magnificent stall in the Market, by German bombing, I sold the prestigious good will and undamaged stock to Harrod’s of London and allowed them to trade under my highly esteemed name. They made me an offer I could not refuse. Gonzalez Fitzroy Pugh took a mouthful of ale, swallowed it and then wiped his multi-brown-toned moustache on his crusted sleeve.